What started as a safe place for local youth to hang out and grab a free feed has become so much more. 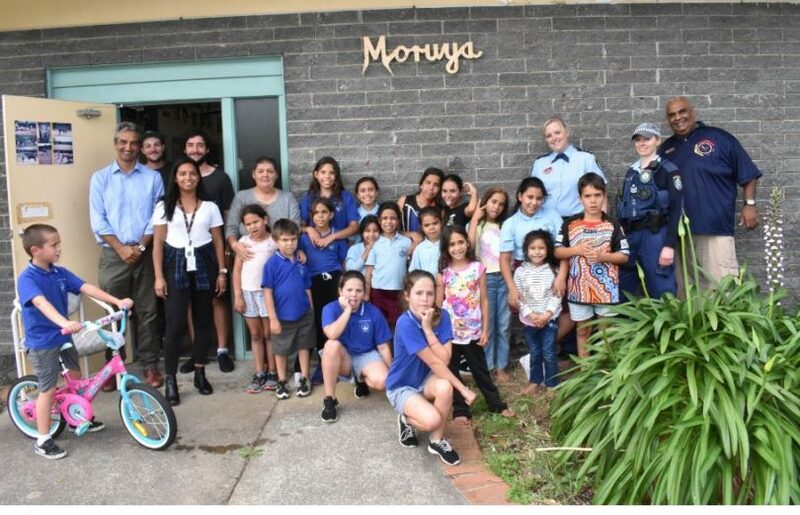 Every Wednesday afternoon as many as 36 kids, ranging from age five to 16 years, gather at the Gundary Oval clubhouse to share Aboriginal culture, engage positively with community leaders and police, and learn a few life skills. ‘Walawaani Garindja’ is an initiative of local police, Campbell Page, Eurobodalla PCYC, and Eurobodalla Council. In Dhurga Aboriginal language, Walawaani Garindja translates to ‘safe journey to our youth’. Council’s Community Development Officer Jordan Nye, who facilitates the program, couldn’t be happier with its progress. “The best thing is seeing the kids grow and develop,” he says. “We want them to all have a voice and know that they can achieve great things if they put their mind to it. “They’re starting to call me Uncle, which tells me that we are starting to build great relationships. Over the last three months, the program has been embraced wholeheartedly by the community, with children, their parents, and Aboriginal community leaders participating in different activities every week alongside local police, youth workers, and volunteers. Jordan says the fact so many parents have become involved is incredibly heart-warming. Uncle Ron Callaghan has been involved since day one, teaching the kids guitar lessons as a volunteer. South Coast Police District’s, Inspector Angela Burnell says the group provides her with an opportunity to connect with the community in a positive way. “Policing is not just about locking up crooks anymore, it’s about being with our community and fostering relationships early on,” she says. Casteo Lole from Campbell Page hopes the program will continue. “I’ve seen the respect in these kids grow, which is a really big plus,” he says. Walawaani Garindja is held at the Gundary Oval clubhouse on Campbell Street, Moruya, every Wednesday from 3.30 pm to 5 pm. Everyone is welcome to attend, it is completely free and no bookings are required. For more information contact Council’s Community Development Officer Jordan Nye on 4474 1289 or visit Council’s youth service website. Such a great news story and congratulations to all who are enabling this valuable program which offers such a wonderful opportunity for the Koori Kids to discover their own identity, their talents, pride in their culture and sight for their life's direction. May this continue and go from strength to strength.